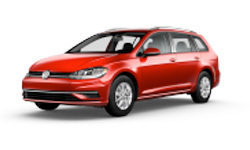 The 2018 Volkswagen Golf SportWagen from Sunrise Volkswagen in Lynbrook, NY – serving Rockville Centre, Long Beach, Garden City, and Franklin Square – is a capable vehicle with enough room for everything you need. 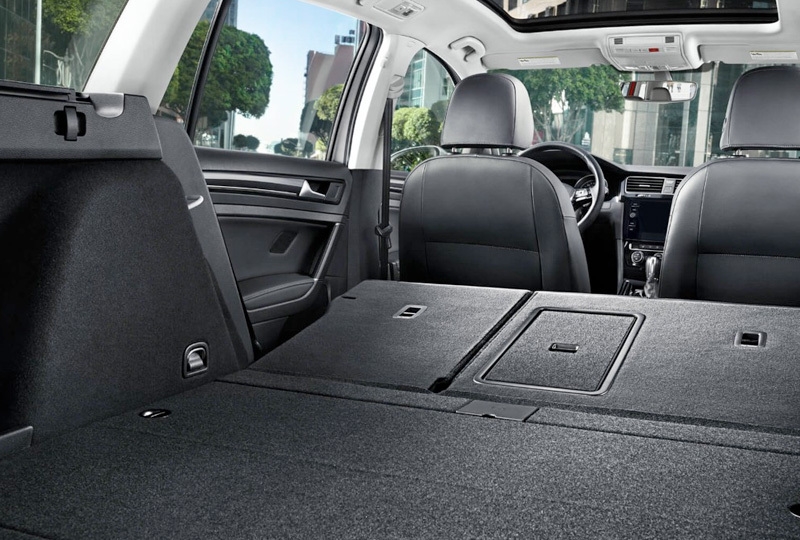 The spacious rear cargo hold has plenty of space with the 60/40 split-folding rear seats ready to expand up to 66.5 cubic feet of space. The 1.8L turbocharged 4-cylinder engine uses a 5-speed manual transmission and offers a thrilling 170 horsepower for responsive handling. Standard front wheel drive helps you navigate the city, but available 4MOTION all-wheel drive will take you off-road for exciting adventures. The leather-wrapped steering wheel and cozy cloth seats provide the ultimate throne. Connect your smartphone to the standard Volkswagen Car-Net® App-Connect system with Apple CarPlay and Android Auto. Use your rear vision camera to get the perfect angle so you slide right between the lines and park flawlessly. It’s a great day to buy a new Volkswagen. You won’t find a better 2018 inventory in town, and new auto loan rates are lower than ever. Take your test drive today by visiting the dealership located at 931 Sunrise Hwy, Lynbrook, NY. 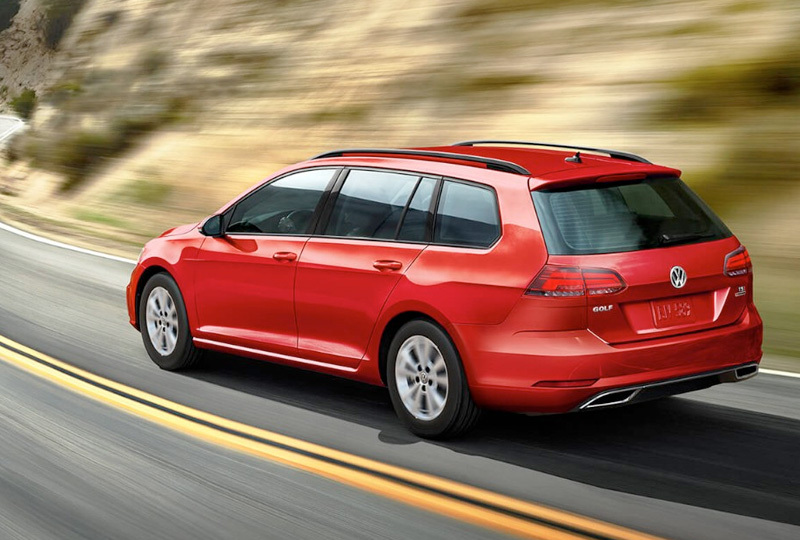 We’ll send you home in the new 2018 Volkswagen Golf SportWagen you’ve always wanted! 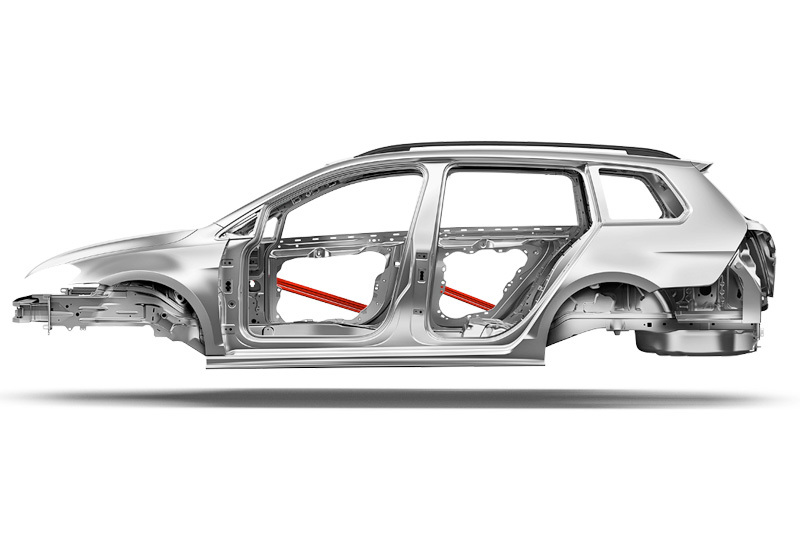 The available 4MOTION all-wheel-drive system transfers torque between the front and rear wheels. In normal driving conditions, power is delivered to the front wheels. But 4MOTION® can also send torque to the rear axle when it’s needed. Talk about a power move. With 400 watts of power, every pulsating beat that pumps out of the available Fender Premium Audio System can deliver clear, concert-quality sound to make sure you rock while you roll. Ask your dealer if this vehicle meets the emissions requirements of the state in which you are registering the vehicle. Starting MSRP excludes transportation, taxes, title, other options, and dealer charges. Dealer sets actual price. Specifications, equipment, options, and prices are subject to change without notice. Some items may be unavailable when vehicle is built. Ask your dealer about availability of options and verify that the vehicle includes the equipment you ordered.